Is Everything Better On The Blockchain? It's 2018 and everyone's scrambling to be the first to put something "on the blockchain". All Sports ($SOC) promises to bring sports to the blockchain. 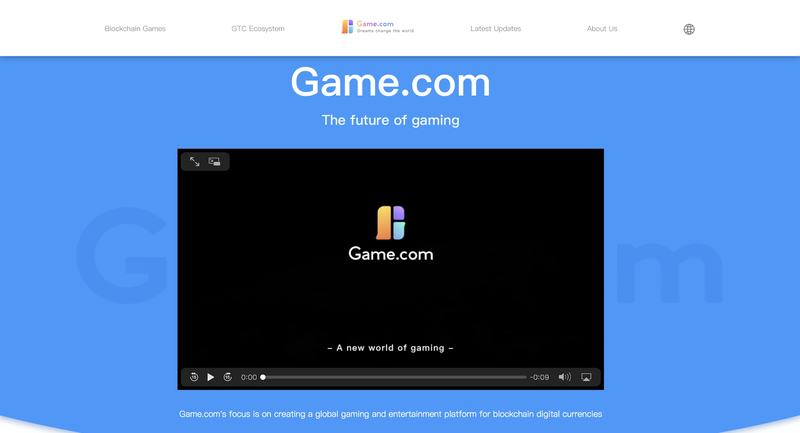 Game.com ($GTC) promises to bring gaming to the blockchain. PotCoin ($POT) promises to bring well, pot, to the blockchain. The pertinent question is: do we really need a blockchain to watch sports, game out, or toke up? That being said, when I first heard of Bitcoin I was convinced that we didn't need it. I was spending my dollars and they seemed to be working just fine as a form of money. Two years after hearing about Bitcoin for the first time I heard BitPay CEO, Stephen Pair, thoroughly explain the concept of Bitcoin and blockchain. He stated the major advantages: deflationary, decentralized, and faster. I was pretty convinced that we would need Bitcoin as a society and I bought some BTC at around $4K (though buying it at $400 would've been a lot nicer). How do I know I'm not making the same mistake this time? What if PotCoin is the next Bitcoin? What if I'm missing out on... THE FUTURE?!? Perhaps the founders of these obscure applications of blockchain technology are derivatives of the visionary Satoshi Nakamoto. Maybe we'll look up to them one day for their foresight. Maybe stoners will look back and wish they had invested their money in PotCoin instead of just spending it on pot for their next joint. Maybe, just maybe, an investment in PotCoin today will yield 420X returns in the next few years. A more likely scenario: the creators of these cryptocurrencies have no intentions of actually building anything useful. Instead, they are hyping their narrow application of "blockchain" while the word is buzzing in order to garner disproportionate funding from speculators in the hopes of winning big in a pump and dump. Let's examine the websites of these three coins listed above and see if there is a real problem they're trying to solve. Note that these coins were picked randomly and that there are MANY more cryptocurrencies offering little to no value that this article won't examine. There are a number of telling signs from the home page of each coin's respective website that these projects are attempting to cash in on the hype of blockchain. I'll cover 3 red flags for each site and analyze the "value" of their project. Are sports better on the blockchain? Half the page is covered by endorsements from "Super Football Stars"
The sentence starts with "With the increasing popularity of blockchain technology" and ends with "which is a sun-rising industry all over the world." Do sports belong on the blockchain? This is a question that All Sports Coin seems to take for granted. Because blockchain is "popular" (it's not popular actually, just saying "blockchain" is what's popular) and a couple of "Super Football Stars" endorse SOC, it MUST be legit. Now, to their credit, at least they have a "Technical white paper draft". This does lay out some application ideas such as prediction markets and IP support for the sporting industry. That being said, the site doesn't leave you with the impression that there is a problem in the sports industry that is lacking a blockchain solution specifically. It seems that the white paper fabricates some solutions to problems that don't actually exist. If there was one solution they might've been offering it would be the a decentralized sports prediction market. The thing is, there's already a blockchain project, Augur, tackling the core issue of betting/prediction markets as a whole. At this point in time it seems far more likely to take off than SOC. Unsurprisingly, the site does not mention any advantages it has over Augur. The creators of SOC seem to take for granted that the sports industry needs its own blockchain, and that having a couple of famous soccer player faces on the front page of the website will surely be a way to draw speculators to invest in their token. This is the sport of pump and dump, and you have to be a bad sport to play it. Is gaming better on the blockchain? The video attempts to combine cringe-worthy stock music and nebulous imagery to create a buy-in for Game.com's overwhelmingly vague mission of "creating a global gaming and entertainment platform for blockchain digital currencies." If you browse through the site more you'll end up finding a couple of games: 'Battle Pets' and 'love.pet'. I was actually able to find a version of 'Battle Pets' called AnimalTower in the iOS store. Thing is, it has absolutely no relation to blockchain from what I can tell. I have to give them credit for having a subtle backdrop of animals from the game in the background, but would have liked to see the game open and see a wallet of some sort so that I understand how cryptocurrency relates to the game. 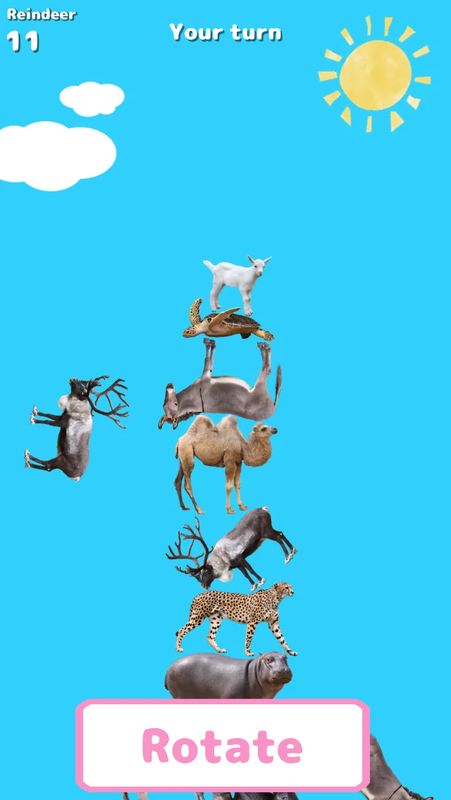 Me losing a game of Animal Tower (not on the blockchain). I think me going to download the game in the iOS store and having a successful experience (or unsuccessful considering I was pretty bad at it) demonstrates that most games probably won't have much of a reason to be on the blockchain unless there's value in having a decentralized ledger for the gaming experience. Is marijuana better on the blockchain? One sentence claims that it is the solution to the global marijuana industry but fails to state why that is the case. The header "Banking for the cannabis industry" is a misnomer. Cryptocurrencies are antithetical to "banking" and banks aren't going to convert your PotCoin to dollars. Like Game.com's domain, the biggest thing Potcoin seems to have going for it is the name. This can be seen by the repetitive use of 'PotCoin' in the first paragraph. 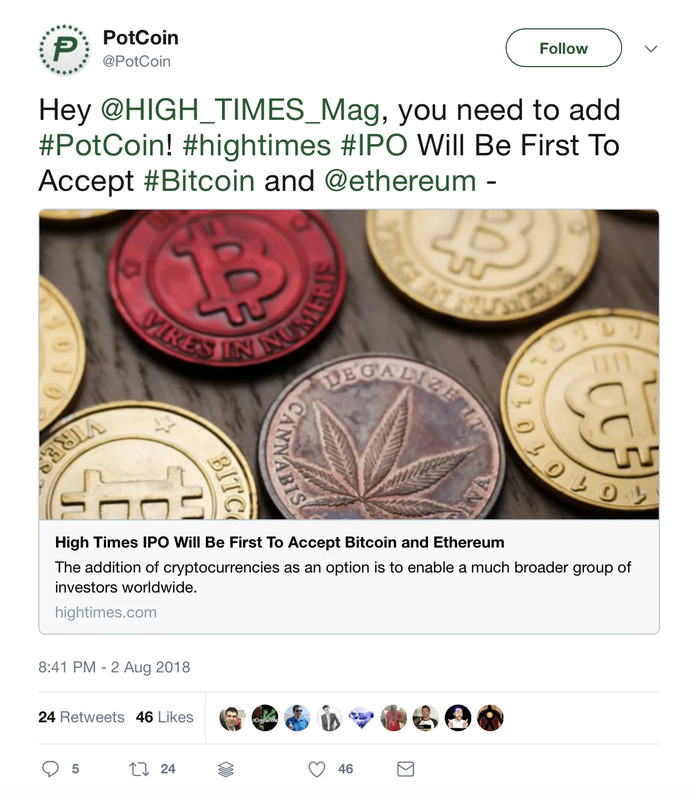 The site seems to be attempting to instill into your psychology the fact that this will be the coin uses for all future pot purchases because after all, it's PotCoin- how could it not be the pot-purchasing coin of the future? Claiming to be the solution to an emerging industry is a bold claim. But the website fails to back it up. Cryptocurrencies probably do have a place in the world of substances- the silk road was a haven for buying and selling pot (and less benign substances) and cryptos like Bitcoin and Monero thrive on the dark web. PotCoin fails to mention why it's the solution to the world of legal marijuana and not Bitcoin (similar to All Sports Coin failing to mention any advantages over Augur). All of the advantages that PotCoin offers over U.S. dollars are also offered by the more ubiquitous and secure Bitcoin. If I had to guess, more pot has probably been purchased with Bitcoin and other privacy coins like Monero or Dash than PotCoin. Maybe High Times doesn't want to associate itself with Dennis Rodman, who was sponsored by PotCoin on his trip to Singapore(note the PotCoin shirt) for the North Korea summit this year and a trip to North Korea last year. 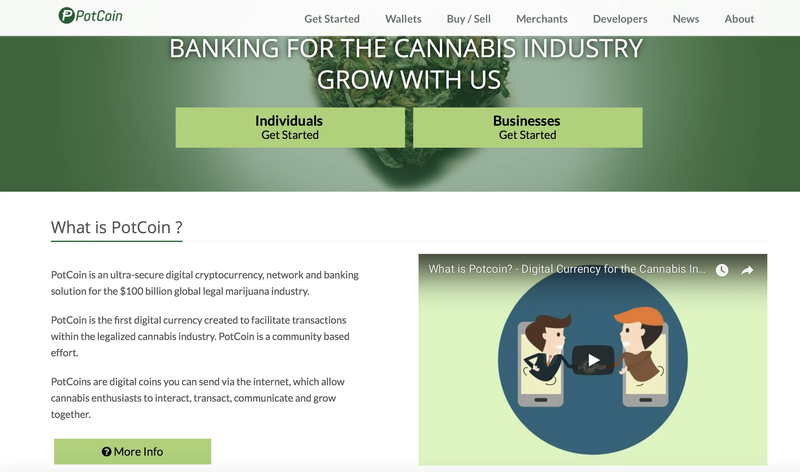 PotCoin's website also claims to be a banking solution for the cannabis industry (not true) despite also claiming to be transferable without banks (true). "PotCoin is a banking solution for the $100 billion global legal marijuana industry." "PotCoins are transferred directly from person to person via the net, without going through a bank or clearing house." Cryptocurrencies are not banking solutions, but banking alternatives. If you want to accept a cryptocurrency at your dispensary and have the funds flow into your bank account, you would need to use a payment service like BitPay, which unsurprisingly only accepts Bitcoin and it's rivalrous brother Bitcoin Cash, not PotCoin! What's worth noting is that there is another pot-related coin that I think might just blow PotCoin out of the bong water, and it's called Tokes. What I love about their site is that they actually explain the industry specific problems that cryptocurrency can help solve, rather than repeatedly spewing blockchain jargon. Rather than just creating a coin to pump and dump, Tokes is building a solution for various aspects of the cannabis industry- like supply chain and compliance from cultivation to out-of-the-door packaging. It actually asks the question "Why does cannabis need cryptocurrency?" instead of taking the answer for granted. Platforms like Tokes and Augur are more obscure than Bitcoin, but show promise in their solution by being specific in how blockchain technology can solve real problems outside of the inflation/Federal Reserve printing money problem. Platforms like PotCoin, All Sports Coin, and Game.com seem to merely play off the hype that has been generated by Bitcoin and other cryptocurrencies, in order to boost the price of their coin rather than solving problems. So, is everything really better on the blockchain? The answer that time will tell what things are better on it and what things can be left alone. After researching these sites, my conclusion is that there will be a multitude of applications for the blockchain, maybe many more than we can imagine at the moment. The issue is that so many companies are out there creating hype for their "on the blockchain" when might be better off the blockchain. If you're looking to speculate on projects, don't fall for projects that aren't explaining the problems that they're solving. Look for projects like Tokes that are willing to ask and answer the question "Why does industry need blockchain/cryptocurrency?" These companies are far more likely to actually create something of value and be a good coin to HODL for the long run. Outro: Is content really better on the blockchain? We're so anti-hype at LBRY that it's almost a fault. We don't even use the word "blockchain" or "cryptocurrency" on our homepage, lbry.com. This is because we see the value of LBRY transcending the hype around blockchain. Our mantra isn't "HODL" (Hold), but "BUIDL" (Build). The problems that we're solving are explained in this essay. "LBRY is the first digital marketplace to be controlled by the market's participants rather than a corporation or other 3rd-party. It is the most open, fair, and efficient marketplace for digital goods ever created, with an incentive design encouraging it to become the most complete." We see our blockchain as solving the problem of phenomena like the infamous "adpocalypse" of YouTube, where big corporations decide who gets paid and who doesn't, regardless of whose content is truly in demand and worth monetization. We think that the best way for creators to make money is by being by paid by the consumers of their content directly, without a third party- which does require a blockchain. James came to LBRY through Praxis, a company that offers apprenticeships to young entrepreneurial types. Originally brought on to help with recruiting YouTubers, James showed up to the office with a 3D printed LBRYopoly board and was the original person who championed the use of the LBRY protocol for 3D printing. He has a passion for philosophy, 3D printing, and writing fiction.